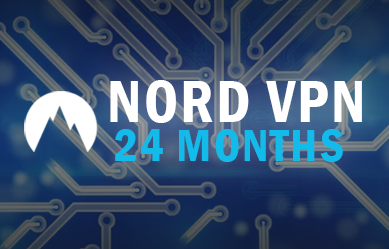 NordVPN is surely the most popular VPN provider, but does this mean it is also the best one? What I saw is that they do not have one “killer feature,” but rather a combination of supreme security, careful attention to privacy, and a handy support that’s one click away. For this review, I tried to tackle NordVPN and find flaws in their product, but I’m not sure I succeeded. Sure, I found a few things I don’t like and a few improvements to offer, but the bottom line is that NordVPN offers what is probably the best VPN on the market at the moment. NordVPN is the leader when it comes to security. Its double VPN, strict no-logs policy, and Onion over VPN are features you won´t find with many other VPNs. Of course, NordVPN has the regular features, too, like 2048-bit encryption, a kill-switch, security protocols (OpenVPN, PPTP, SSTP, L2TP/IPSec – although most have to be manually installed), and P2P. This is one of the oldest tricks in the book. Many VPNs choose a country outside the “14 eyes countries” to register their company, but their headquarters are actually located somewhere else. Why do they do this? The main reason is so they can’t be forced to give user logs to governments. This way, NordVPN can clearly state they don’t keep any user logs (whereas other VPNs must keep some, due to local data retention laws in countries where they operate). I approached NordVPN and asked about this so-called CloudVPN (not to confuse it with another VPN with a similar name). They explained they use this CloudVPN to register the Android and iOS apps as well as process payments from Paypal and others. I asked my contacts at Paypal about this, and they confirmed this is a legitimate and common practice for companies registered in exotic locations like Panama. At the end of the day, NordVPN refuses thousands of requests to deliver data on their users, which makes me sleep well at night. 1. Your server location. If you just want to hide your IP address, then connecting to a server that is closer to your location will provide a stronger connection than if you connect to one farther away. 2. Which server you connect to. If you want to stream from a German TV site, you will need a server in Germany (preferably more than one). The speed of one server in France will not show you how fast your connection will be in Germany. Similarly, if you want to stream US Netflix, you need a server in America. 3. What time you connect. Let’s say you connect to a server in the Netherlands while you are in Canada. You might find that in the evening your speed is really fast, while in the morning it’s much slower. Why does this happen? Because the morning, which is in the afternoon in the Netherlands, is high peak time for that server. Server speeds fluctuate throughout the day depending on the time and number of users. Very fast and effective. No problems whatsoever and got access to account immediatly. should I change the password in good times ?